The Basset Hound and Dachshund Mix can be strong-willed, and he will need someone to have a firm but fair hand with him. The Basset Hound and Dachshund Mix is known for his playful nature, which makes for an entertaining dog who will always try to bring a smile to your face. He is an even-tempered, sweet dog who makes excellent family dogs for children of any age. Because of his wonderful companionship, he also makes lovely dogs for singles, couples, or seniors who are looking for a gentle dog to cuddle and train. Sweet and playful, the Basset Hound and Dachshund Mix doesn’t need much maintenance to keep him happy. He does not demand a lot of physical activity, which makes him a good breed for owners who have busy schedules. While the Basset Hound and Dachshund Mix can be larger in size, he tends to do well in houses or apartments. He does not require much room to keep him content. Like most hound breeds, the Basset Hound and Dachshund Mix likes to chase small animals, so introducing him to smaller dogs may be a challenge. However, with early socialization, patience, and a watchful eye, the Basset Hound and Dachshund Mix is capable of living with other animals. This dog will alert his family of any stranger, threat, or unfamiliar noise in the home, which may be an issue for those who live in apartments and follow strict noise restraints. The Basset Hound and Dachshund Mix is a gentle and sweet dog. What Price are Basset Hound and Dachshund Mix Puppies? The price of Basset Hound and Dachshund Mix puppies is approximately $200 to $600. How to Find Reputable Basset Hound and Dachshund Mix Breeders? Saving a few bucks by opting for the least expensive puppy is not a good idea. You want to research your breeder as thoroughly as you research your new car or your new house. Kind and responsible are two of the main traits that you want to see in the breeder. It is important to visit the breeder’s facility and see the puppies in action. Making a puppy purchase strictly online or over the phone could lead to a potential disaster. If you have no idea how to hone in on a particular breeder, check your local kennel club. You can also use the internet to guide your search. Local breed representatives can also recommend reputable breeders. Alternatively, ask your vet if they can recommend a reputable breeder. Once you find a breeder, speak frankly. They have much experience with the breed, so ask them to explain the pros and cons of getting this particular dog. Find out how long they have been breeding dogs. Ask for references from previous customers. Inspect the breeder’s home or facility. The dogs and puppies should look well taken care of and not afraid or timid when it comes to people and other animals. They should not show aggression when you approach the litter. You can ask to view the parents separate from the puppies, as well as see how their temperament is. Go with another breeder if their attitudes are less than ideal or the dogs don’t look happy or healthy. The Basset Hound and Dachshund Mix is a good watch dog because he will bark to alert others if the home is being broken into. He should be fed good quality dry dog food split into two meals daily. Take care not to over feed or let him graze because he loves food and will eat too much. He barks rarely, but it’s a deep and loud bark. The Basset Hound and Dachshund Mix can be playful, independent, and stubborn. He has a long and strong body. His head is also long, and his ears droop down. He has short legs. His coat is smooth, tight, short, and shiny. Its usual colors include white, brown, golden, tan, black, and grey. The Basset Hound and Dachshund Mix sheds a low to moderate amount and is not a hypoallergenic dog. He’s not a good choice for people with allergies. He has a coat that is easy to brush through, and it will likely just need it once or twice a week using a hound glove or rubber bristled paddle brush. This will keep the coat healthy and remove loose hair. Give him a bath only when he needs it. Use only a dog shampoo to preserve his coat’s natural oils. His droopy ears will need some regular care. Use a veterinarian-approved ear solution and look out for signs of infection. His nails should be trimmed when they get too long. It can be done by a professional groomer if you do not have experience with trimming dog nails. His teeth should also be brushed at least two times a week. How Big is a Full-Grown Basset Hound and Dachshund Mix? 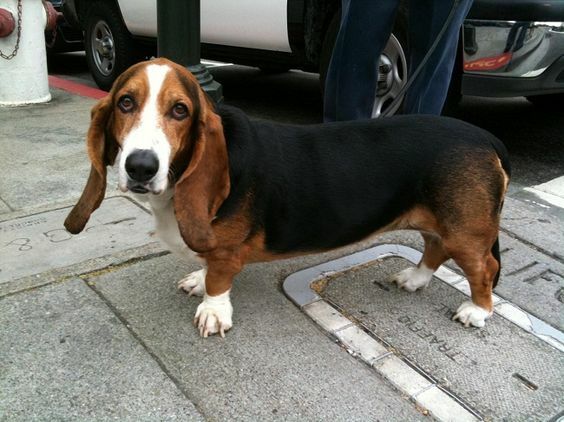 The Basset Hound and Dachshund Mix is a medium-sized dog that weighs 25 to 45 pounds. He stands at 9 to 11 inches tall. What is the Life Expectancy of the Basset Hound and Dachshund Mix? The life expectancy of the Basset Hound and Dachshund Mix is 12 to 15 years. The Basset Hound and Dachshund Mix doesn’t need much maintenance to be happy. 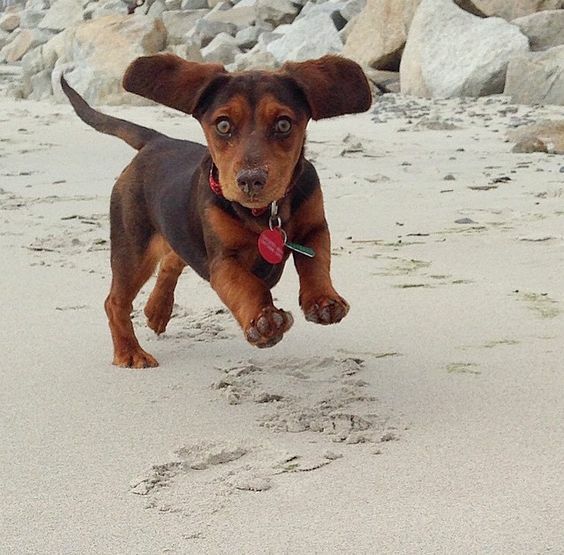 The Basset Hound and Dachshund Mix is known to be fearless, intelligent, and full of energy. But he may act too hastily at times. When faced with certain tasks, he likes to do them in his own ways without being instructed. Because of his independent, playful, and entertaining nature, he is often regarded as a mischief-maker. The Basset Hound and Dachshund Mix may be stubborn and have a strong instinct to chase. He remains close to his family and loves to be cuddled. If introduced to the kids and other household animals early, he will get along well with them. This brave and alert dog warns his owners of intruders, which makes him a great watchdog. Early obedience training and socialization are very important to ensure he is the best dog he can be. He can be moderately hard to train, though, because he has a stubborn streak and is an independent thinker. Training him will take patience and consistency. Keep the sessions interesting because too much repetition will likely lead to boredom and loss of interest. Housetraining this dog may also need some perseverance. Considering its medium to large size, the Basset Hound and Dachshund Mix requires 1 ½ to 2 ½ cups of high-quality kibble every day, spread out between 2 to 3 meals. Always ask your veterinarian about what kind of dog food is best for your dog’s current age because their requirements may change as they age. How Much Exercise Does a Basset Hound and Dachshund Mix Need? The activity level of this dog can vary depending on which parent he leans more towards. He can be just slightly active, needing just half an hour a day for walks. This dog prefers to nap. But he can also be more active because he naturally loves to play and go to the dog park. He is curious and likes to chase small animals, so a leash is necessary when he is not in a safe or enclosed area. His size means he is quite suitable to live in an apartment without access to a yard, as long as he gets outside each day. Make sure he gets out even if he prefers to snooze because he is prone to obesity. There are certain issues he is more prone to, some of which can be inherited from his parents. It is important that he is not allowed to jump from moderate heights. Even jumping from the couch to the floor could cause injury. His ears are prone to ear infections, and his love of food means he is prone to obesity. Other health issues to be concerned about include hip dysplasia, patellar luxation, thrombopathia, panosteitis, Von Willebrand’s, Cushing’s, diabetes, and bloat. He can also suffer from allergies, deafness, eye problems, IDD, and IVDD. The Basset Hound and Dachshund Mix is a gentle and sweet dog who can be quite comical and entertaining. He is courageous and bold. He can also be playful, independent, and stubborn. 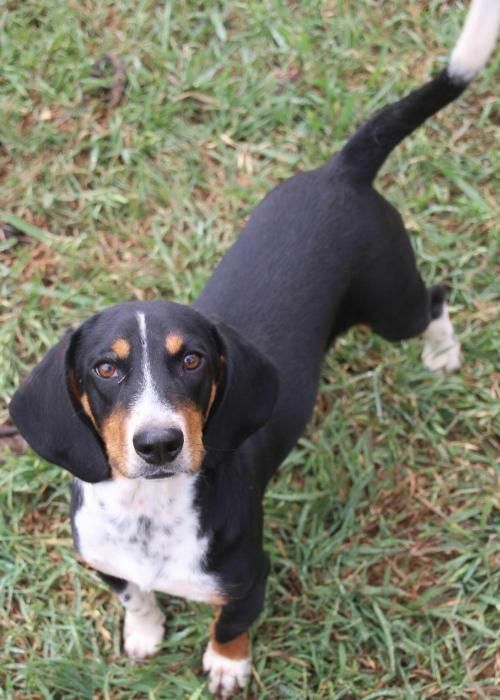 The Basset Hound and Dachshund Mix is a smart dog and can be very loving and affectionate with his humans. He prefers to do things his own way, so that may make life both amusing and frustrating at times. He likes to chase things and is wary around strangers. He loves to cuddle and is likely to form very close bonds. While he can be left alone somewhat, he still prefers to have company. He is a social dog and likes to be with his people. The Basset Hound and Dachshund Mix does not need much exercise compared to other dogs, but he does require exercise to keep his weight under control. Daily walks around the neighborhood or to your local dog park should tire the Basset Hound and Dachshund Mix.